The Telerik Chart for Xamarin is a feature-rich, intuitive and easy to use data visualization control which employs the Xamarin.Forms technology. The Telerik Chart for Xamarin is a feature-rich, intuitive and easy to use data visualization control which employs the Xamarin.Forms technology. Xamarin.Forms makes it possible for developers to build native iOS, Android and Windows Phone apps from a single shared C# code base and Telerik Chart allows developers to easily implement various charting scenarios in their apps. Telerik Chart for Xamarin also includes Xamarin.iOS and Xamarin.Android wrappers built around the native Telerik iOS and Android controls. Telerik Chart for Xamarin capitalizes on all the innate benefits of the native UI but exposes all objects and properties in C#, allowing for no-compromise customization and flexibility. 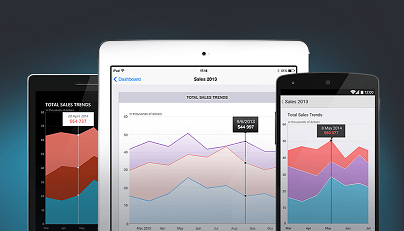 The Telerik Chart for Xamarin features a large collection of chart series. You can show trends with Line, Area and Spline Area Charts; compare sets of data with Bar Charts, where both horizontal and vertical Bar Charts are supported and illustrate proportions with Pie Charts. The wrappers for iOS and Android and the platform specific version of Windows Phone support OHLC and Financial Series. The control supports Numeric, Categorical and Date/Time axes enabling you to plot any type of data. Furthermore you can present series of different scales on the same graph thanks to the Multiple Axes support feature. With support for DataPoint and Series selection the Chart allows users to select part of the series or the whole series. This behavior brings additional interactivity to the control and makes the data easier to understand. 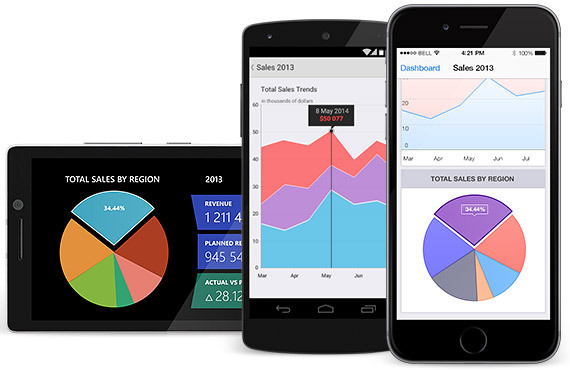 The Telerik Chart for Xamarin offers various interactivity features. You can use tooltip to visualize information about a specific data point. The trackball allows for even greater precision when reading the chart data. It displays a vertical line across the chart plot area and visual indicators at points where the trackball line crosses the visualization of a series object. The Pan and Zoom behavior allows users to zoom in the chart plot area where there’s a dense concentration of data points for easier data readability. The pan functionality allows moving the visible area of the chart when it is zoomed in. Use annotations whenever you need to highlight certain areas on the plot area. The Grid Line annotation is vertical or horizontal line crossing the entire plot area, useful for visualizing data targets and thresholds. The Plot Band annotation is a similar functionality which visualizes an area instead of a line and is useful for indicating intervals. You can define annotations on any point of the plot area and to control their appearance.